Featuring the idle-like yet incredibly addictive gameplay popularized by Instantfuns, One Piece H5 is a fun casual RPG that features all the iconic characters you love from the hit anime series, One Piece. Recruit the best pirates in the anime, take on various villains and even other players’ teams, and rise up the ranks! Unfortunately, despite having a theme for one of the most popular anime out there, One Piece H5 doesn’t really offer any sort of storyline for the player to enjoy, which frankly speaking, is super disappointing. However, if you are just here for the gameplay, then you’ll find the game quite satisfactory in that aspect. What can I say? One Piece H5 is rather similar to Instantfuns other RPGs despite not being actually hosted or maintained by Instanfuns. Although there are some tweaks here and there just to fit the game “template” into One Piece’s pirate theme, the idle-like gameplay is pretty much the same. Basically, the game plays itself to some extent because all combat in this game is automated. It’ll set your characters on an endless loop of normal battles but you’ll have to specify when to start the boss fights. Once you get through a boss fight, the difficulty of the normal mobs will increase slightly and the cycle repeats itself. Aside from this endless loop of normal mobs battles and boss fights, the game also provides a slew of dungeons for you to challenge. Some dungeons are quite specific in the rewards they give, such as the equipment dungeons – obviously, you’ll be getting equipment from that dungeon, and etc. You can even set off on Expeditions and there’s also a floor-based tower-like dungeon called Impel Down (weird name, I know), where you’ll battle gradually more difficult villains until you can advance no more. You’ll then receive rewards based on the final floor you’re on. Advancement also comes in the form of your team of pirates. As mentioned, you’ll be able to recruit various iconic characters from the One Piece universe, whether it is Jinbe or Luffy himself, to your team. 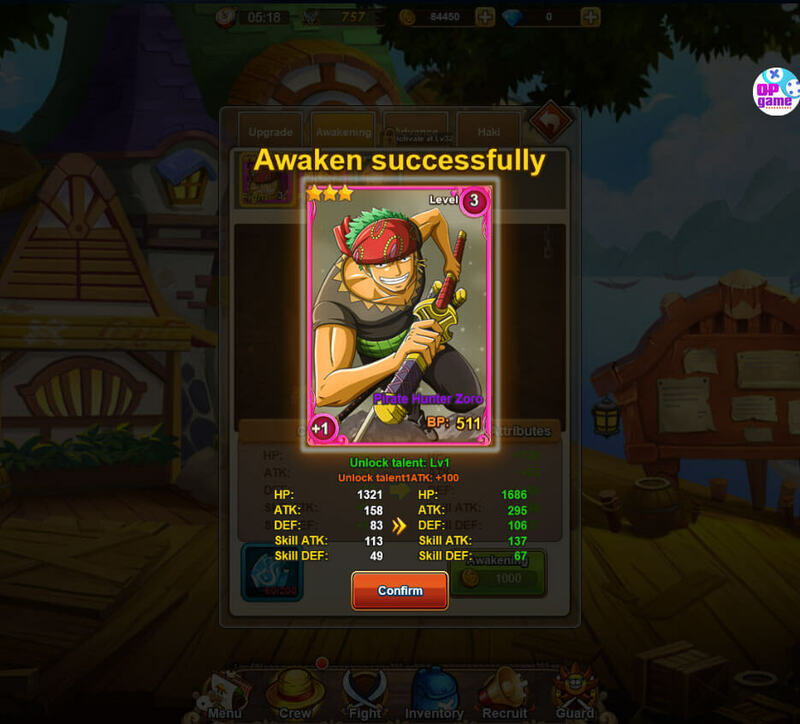 There are numerous ways you can upgrade your characters too, from upgrading their equipment to leveling them up, to even “awakening” their previously-hidden, inner strength. Of course, what’s an RPG without some fun PvP? One Piece has a few PvP game modes, including the arena, a much more massive Summit War, and possibly a Guild-vs-Guild (GvG) war. Arena is pretty much the same here – you’ll be battling your way up the ranks as you level up and improve your team. Like other similar games, there’s actually a good chance you can make it into the top 10 on your server if you really put in the time and effort, and of course, use whatever free premium currencies you get wisely. One Piece H5 is quite generous I guess, since you can claim a novice pack – no questions asked; you don’t even need to sign in! – by generating the code in the panel on your right. However, I’ve noticed that unlike in other Instantfuns games that I’ve reviewed and played (and I did so rather extensively and long after I did the review), premium items are a bit harder to come by in this game. Similar to other games, One Piece H5 also has a tiered VIP system but unlike these other games, this game doesn’t really allow free-to-play players to be able to increase their VIP tier through hard work and perseverance. The game also bugs out from time to time – rarely though! If that happens, a simple browser refresh will do the trick. As an anime-themed RPG, One Piece H5’s community is probably huge fans of the anime. So, there’s definitely a common ground for you to connect with other players. Plus, the game does have a guild-like system later on, allowing you to band up with your fellow pirates on your journey to be the best pirate there is! The graphics in this game aren’t exactly top-notch but for a casual RPG, they are pretty good enough. Plus, the sound effects, the music and the animations are all well-made, making combat rather satisfying to watch… since combat is automated and all. All in all, if you’ve played any of Instantfuns’ idle-like RPGs before and have enjoyed playing them tremendously, then you’ll definitely love this one. 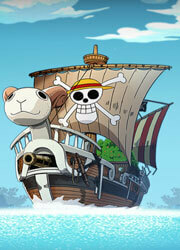 Bonus points if you happen to really like One Piece – if you’re into anime, how can you not? - as well. 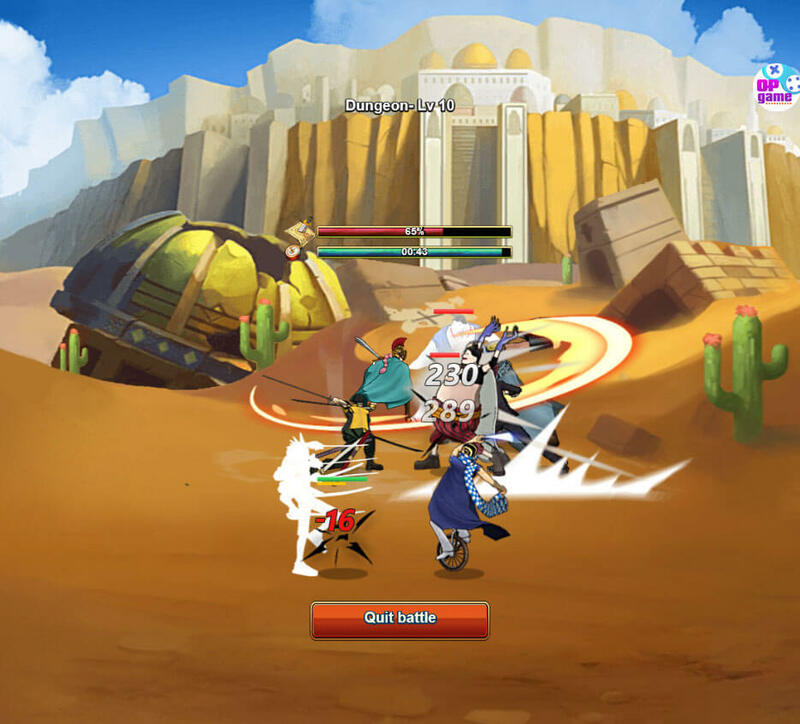 by Aethyna Apr 14, 2019 Featuring the idle-like yet incredibly addictive gameplay popularized by Instantfuns, One Piece H5 is a fun casual RPG that features all the iconic characters you love from the hit anime series, One Piece. 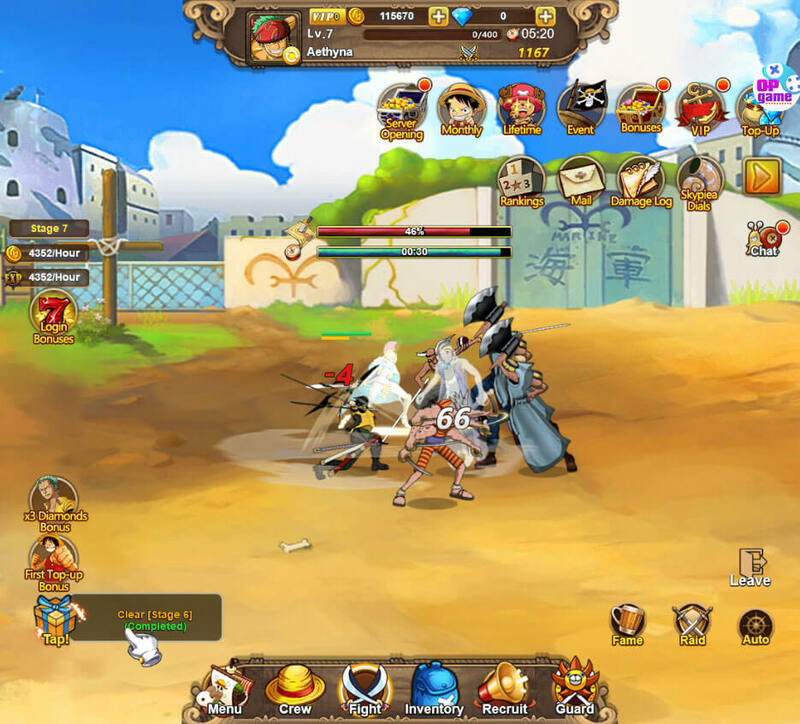 Recruit the best pirates in the anime, take on various villains and even other players’ teams, and rise up the ranks! Read More Be the First to Post a Review!